SAN DIEGO -- Several RUSH Field Hockey seniors make their plans official to play field hockey at the collegiate level. The San Diego Hall of Champions hosted a National Signing Day event for the girls and other college bound athletes from high schools across San Diego County. As of November, ten RUSH Field Hockey seniors will join college field hockey programs next fall with eight signing a National Letter of Intent. A National Letter of Intent (NLI) is a binding contract between a student-athlete and institution confirming athletic scholarship money. Honorary contracts are provided to Division III programs whom are not permitted to offer athletic scholarships. Surrounded by family and friends, each athlete--sporting gear from their future school-- signed their NLI or honorary contract and announced the university and new team they will soon play for. However, not every RUSH player will have to bid each other good bye. In fact, six girls will continue to call each other teammates. Tatiana Arias, Chelsea Bigelow, Farah Farjood and Sara Janetzky will play alongside each other at the University of California, Davis next fall. Their recruiting class includes just one other player from a California club. At the University of California Berkeley, longtime RUSH teammates, Gabi Jimenez and Kyra Kent, will also continue to sport similar jerseys. At that time, Nina Randolph, will be across the bay playing for Stanford University embracing the strong rivalry to come. Heather Brennan will travel to Massachusetts to play and study at Amherst College and likely compete against Shannon Yogerst, at Tufts University. Shannon will play for the same program her sister, Chelsea Yogerst, played for and helped capture the 2012 Division III national title. Each year the girls on athletic scholarship will re-sign a contract outlining their athletic aid for that academic year and any additional scholarship money awarded. Each Division I Field Hockey program is given 12 full scholarships. Division II programs are given about six. Because NCAA Field Hockey is an equivalency sport, this means schools can divvy up their (12 or 6) scholarships however they want to the girls. The average college field hockey roster holds 23 players. However, some teams carry a smaller roster to be able to offer more scholarship money to players. Division III and club teams cannot provide athletic scholarships, but often help athletes find other available scholarships to apply for. TORONTO -- This summer RUSH Program Director Brian Schledorn assisted the USA Men's National Field Hockey team at the Pan American Games in an effort to qualify for next year's Olympics. The event held in Canada this July drew close to 7,000 athletes from all across the Americas and Caribbean to compete in the world's third largest multi-sport event. On foreign soil and sporting red, white and blue, Schledorn's efforts have landed him in this position many times before. This time now coaching the team he once suited up to play for. Schledorn's tenure on the USA National Men’s team as a crucial part of the backfield included playing in two Pan Am Games and training for three Olympic Games. In 1996, he was also an alternate to the Atlanta Olympics. Schledorn and other nationally renowned coaches were selected by USA Field Hockey Head Coach Chris Clements for the event. For close to two weeks, Schledorn scouted competing teams, conducted video analysis, and helped prepare the team for a grueling schedule. Despite losing just one match and missing Olympic qualification, the USA is primed with growing talent. Of the eight field hockey teams who participated, the USA roster was by far the youngest all around team. The USA tied Cuba and Brazil and took home wins over Trinidad & Tobago as well as Mexico. 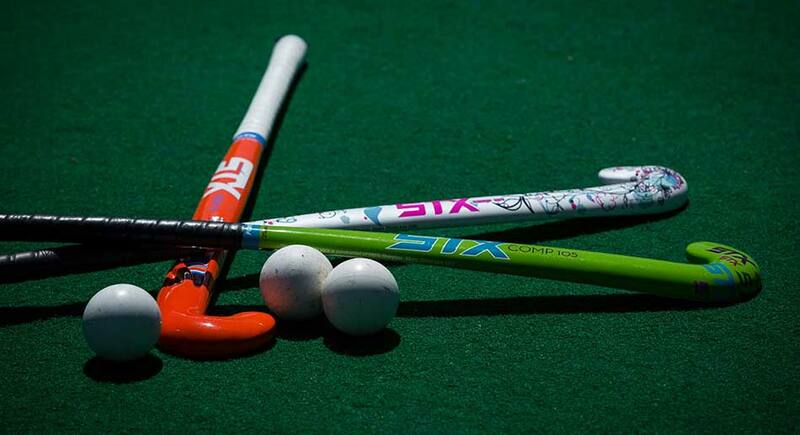 LANCASTER, Pa. -- Two RUSH Field Hockey players have been selected to USA's Under-17 National Team, according to USA Field Hockey. Megan Rodgers and Brynn Zorilla, both RUSH Elite Performance Group members, were selected to the 26-player roster after tryouts concluded today at USA Field Hockey's premier U-21 Junior National Camp held July 5-8 in Lancaster, Pennsylvania. The girls are among just five players from west of the Mississippi selected to either the Under-17, Under-19, and Under-21 team. A U-17 teammate from northern California, is the only other player selected from the west coast. The U-21 Junior National Camp hosted 110 athletes selected from the total 680 field hockey players who attended this year’s Young Women’s National Championship, National Futures Championship and Futures Elite Championship. For more information on the selections click HERE. LANCASTER, Pa. -- Seven RUSH players were selected as invitees to the 2015 AAU Junior Olympics, with two players earning additional selection to the Under-21 Junior National Camp, according to USA Field Hockey. RUSH's Ally Bailey, Summer Borsack, Kathryn Peterson, Megan Rodgers, Meghan Schneider, Madison Theodore and Brynn Zorilla are among the top 130 under-16 field hockey players in the country selected to compete at the Junior Olympic Games to be held Aug. 4-8 in Virginia Beach, Virginia. 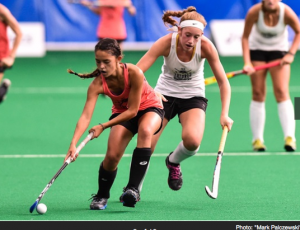 Athletes' selections were based on their performances at USA Field Hockey's annual National Futures Championship hosted June 23-July 2 in Lancaster, Pennsylvania. The AAU Junior Olympic Games are the largest national multi-sport event in the U.S., according to the organization website, with 16,000 participants in more than 20 sports. 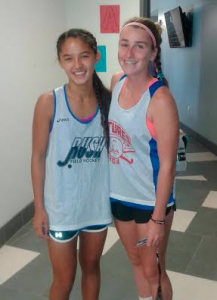 RUSH's Megan Rodgers and Brynn Zorilla earned additional selection to USA Field Hockey's premier Under-21 Junior National Camp. The event is comprised of the top 110 athletes selected from the total 680 field hockey players who attended this year's Young Women's National Championship, National Futures Championship and Futures Elite Championship. Megan and Brynn, both under-16 athletes, will take part in the camp July 5-8 in Lancaster, Pennsylvania with the opportunity to be selected to USA Field Hockey's Under-17, Under-19 and Under-21 Junior National Teams. FENTON, Mo. --The RUSH under-19 field hockey team swept the 2015 Regional Club Championship tournament securing their automatic bid to nationals in July. This win marks a tremendous milestone for not just the club, but west coast field hockey who has never laid claim to the crown before. Taking their game to Missouri June 6-7 , the San Diego based RUSH under-19 team defeated the No. 8 Aim field hockey club (4-0) in the finals to complete a six game sweep. The win also notched their fifth shutout of the tournament. As the top two finishers, RUSH and Aim bested eight other teams to automatically qualify for the National Club Championship held next month in Pennsylvania. The regional win could add 45 points* to RUSH's national club ranking total in which they are currently ranked No. 13. Unfortunately, RUSH will be unable to attend the National Club Championship due to logistical reasons, but are nonetheless excited about how they showcased. Playing six games in two days, RUSH tallied 14 goals out-shooting their opponents in every half of every game. On the defense, RUSH allowed just one goal that came from a penalty stroke opportunity. In the final showdown and their fourth game of the day, RUSH's Megan Rodgers notched the first goal of the game and added the last. Gabi Jimenez and Kathryn Peterson each tacked on a goal to ensure the win. Earlier in the day, RUSH defeated Windy City (3-1) in a semifinal shootout after RUSH dominated a majority of the game in regulation. RUSH's Nina Randolph, Jimenez and Rodgers each tallied a goal to complement RUSH goalkeeper Chelsea Bigelow, who came up with three saves. In their first two games that day RUSH blanked each opponent with just one goal. RUSH defeated Pinnacle (1-0) with a Jimenez to Rodgers goal and walked away with the win against Milwaukee (1-0) with less than 20 seconds left in the game. Jimenez dribbled into the attacking 25 delivering a hit across the circle to Peyton Mowery. With a cross-cage deflection, the tipped ball found Rodgers, who knocked in the game winner. On day one of the tournament, RUSH defeated Stealth (4-0) with three first half goals. Sisters Meghan and Katie Schneider each scored a goal with helper goals from Jimenez and Rodgers for their first win. Bigelow would make her tournament high of three saves on the game. RUSH would go on to defeat FH Life (1-0) later that day with a late second half goal by Rodgers thanks to a Jimenez ball drilled from the top of the circle. MOORPARK, Calif. -- The RUSH under-19 team capped off the 2015 California Cup tournament with silver medals in a championship style showdown. RUSH under-19 took home second place honors against Short Corners (Serra H.S) who captured the W in penalty strokes. For the second year in a row, RUSH under-19 faced Short Corners in the championship finale. Slightly bittersweet, nearly half of the Short Corners are current RUSH Training members and a majority are RUSH Elite Performance Group members. Four of their five penalty strikers are RUSH training members as well. RUSH notched three penalty strokes to Short Corners' four after the teams tied (1-1) in regulation. In the highly intense game, RUSH under-19 scored their lone goal against the Short Corners' defense who had not given up a goal all tournament. Short Corners responded with a goal of their own after a scramble in front of the net. Earlier that Memorial Day, RUSH under-19 defeated two teams en route to the final outscoring their opponents five goals to one. The tournament total: 26 goals scored and just five against. Last year, the outcome between the two teams was reversed. In 2014, RUSH defeated Short Corners in penalty strokes for the under-19 Cal Cup crown. The RUSH'd Supers team finished in 7th place at the 2015 California Cup tournament when their fate was also decided in penalty strokes. Playing against a veteran Olympic Club field hockey team, a young RUSH'd responded to an early first half goal deficit. With just minutes left in the game, a great build up opportunity found RUSH'd's Gabi Jimenez, who grabbed a rebound off the goalkeeper to notch the equalizer and her first goal of the tournament. With a (1-1) score in regulation, RUSH'd and OCFH selected their five penalty strokers and each put their own Big Ten Conference goalkeeper alums in the cage. On the offense, RUSH'd's Crystal Poland, scored the lone penalty stroke with a zinger through the goalkeeper's legs. The OCFH goalkeeper and Indiana alum, batted away RUSH'd's four other attempts. On the defense, RUSH'd and Michigan State goalkeeper alum Molly Cassidy, missed the first penalty stroke low and to her right side. She responded with three sticks saves as an additional shot soared high and wide to tie the round at one a piece. In sudden death, Cassidy dove to make a fourth stick save putting Poland back on the p-spot to win it. The Northeastern alum flung her shot mid-height past the goalkeeper's stick side to seal the team's first victory of the tournament. In an effort to develop RUSH players and alums at the highest level possible, RUSH prides themselves on entering young talent in the Supers Division. RUSH'd was made up of: (3) high school juniors (5) high school seniors (4) Cal Berkeley freshmen. (2) Cornell University freshmen. (1) UC Davis freshmen. (2) college alums. CHULA VISTA, Ca. 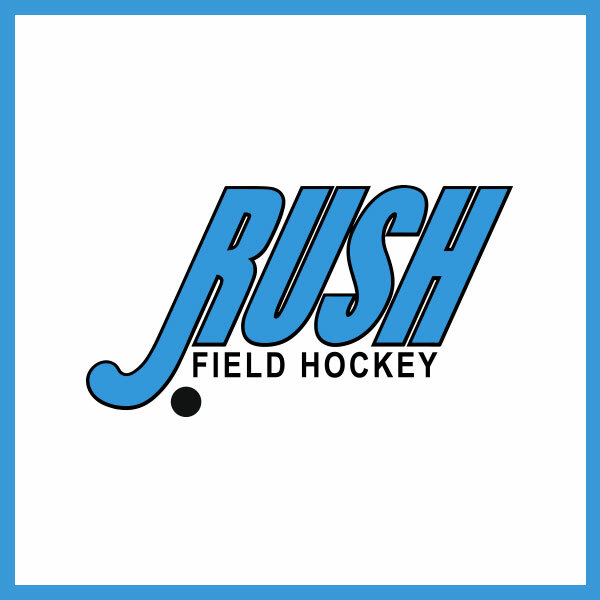 -- USA Futures Field Hockey Region 11 recently selected 21 RUSH Elite Performance Group players to attend the 2015 National Futures Championship, according to their website. This is seven more RUSH EPG players selected than last year. Additionally, a handful of athletes who participate in RUSH Training were also chosen for the highly coveted college recruiting tournament. In June, the girls will compete within teams mixed of players selected from the ten other regions from around the country. Games will be played at the Spooky Nook in Lancaster, Pa. The 21 RUSH EPG players selected represent roughly one third of the players chosen for the under-14, under-16 and under-19 Region 11 division rosters. At the NFC the girls will be evaluated further for possible selections within the USA Field Hockey pipeline. The Futures Region 11 selections are based on a weekend-long tryout with participants from throughout California and nearby states. Participants completed months of USA Field Hockey designed trainings at various state-wide sites to be eligible. COLORADO SPRINGS, Colo. -- The RUSH under-19 division has risen 18 spots to No. 13 in the latest USA Field Hockey national club rankings. With 270 points, RUSH is the highest ranking club not just in California, but west of the Mississippi. Rankings are based on performances from 2013 to present at four different USA Field Hockey sanctioned events. Those events, which vary in the number of points possible, include: Festival (100), Disney Showcase (120), Regional Club Championships (45), and the National Club Championships (200). RUSH earned their ranking without ever competing in the regional and national club championships, but will participate starting this year. The 2015 under-19 Region 11 Club Championship will take place May 3-4, at the Olympic Training Center in Chula Vista, Calif. RUSH under-16 division is also on the rise in the national rankings. RUSH under-16 ranks No. 89 after competing in their first ever point supported event at the 2015 Disney Showcase. Having been un-ranked before the showcase, their new national standing is considered a 35 spot jump, according to USA Field Hockey. The change is also seen as one of the biggest moves up the national rankings among all under-16 clubs this year. For more information on both divisions you can click here. 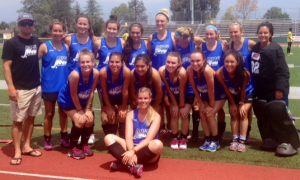 ORLANDO, Fla. – RUSH under-19 brings home the gold to San Diego after a battle of west and east coast field hockey. But a championship win is just a touch on their overall tournament success. 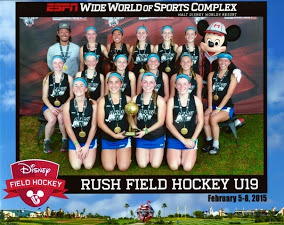 The group of girls selected from throughout San Diego County traveled to Disney World to compete in the 2015 annual Disney Field Hockey Showcase held in Orlando, Florida. 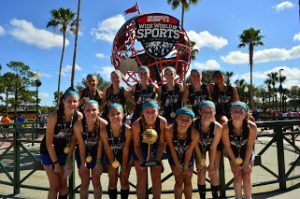 RUSH under-19 won the Pocahontas bracket after going undefeated in all eight of their games inside the ESPN World Wide sports facility. RUSH shut out all but one of their nationally top ranking opponents. The girls averaged nearly three goals a game against their east coast match-ups and only let up one goal throughout the entire tournament. In the Pocahontas championship final RUSH defeated Key State (3-1) for their eighth hockey game in four days. The girls were awarded gold medals and presented a championship trophy in front of family and spectators. The final showdown started off with a RUSH goal supported with quick passing at the top or the circle and a shot blasted to the far sideboard. In a back and forth battle, Key State responded to tie the game at (1-1) after a scramble in front of the net. Unfazed by the first goal scored against them of the tournament, RUSH added another goal and the eventual game winner off a corner just before the half. RUSH sealed their championship win over the Pennsylvania based club with a third and final goal with 15 minutes to go. RUSH advanced to the championship after a semifinal win earlier that day against the Saints field hockey team. RUSH captured the (3-0) win with corner execution and quick passing in front of the net. According to spectators, the entire Saints field hockey team is committed to college field hockey programs. At the start of the tournament RUSH defeated the Carolina All-Stars (1-0) with the lone goal and game winner scored with only minutes to go. Later in the day RUSH defeated Windy City Fire (5-0) with five different contributors to go undefeated in the opening round of the tournament. The next day RUSH defeated Surf & Sand (3-0) and also blanked BCFHC ST Storms (1-0) for their fourth shutout in as many games. The day before championship Sunday started started off with a rematch win against Windy City Fire (1-0) and a (6-0) win against Edge Field Hockey thanks to another round of multiple goal scorers, assists and capitalization on corner play opportunities. For more information on RUSH field hockey players click here and or contact coaches Brian Schledorn and Molly Cassidy.